Superior quality, waterproof, mid height, all leather hunting boot. 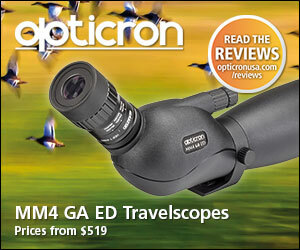 Perfect for extreme day hiking to several day spike in trips. Moderate weight and rigid missile provide excellent suport while maintaining flexibility. Super gripping Vibram sole provides sure footing in “tricky” terrain. The 1006 Vioz Plus GTX RR is not a boot for casual hiking. This boot is built for demanding terrain, steep mountains and multi day backpack trips. Designed with a wide the Vioz Plus GTX RR has been upgraded with the new Zamberlan Vibram Darwin outsole. This hearty boot basically evolved from their top-selling 996 Vioz GT. Hunters and hikers alike will find that the Darwin sole was born from cutting edge technology with Zamberlan’s award-winning Alpine collection. This boot is resolable. Featuring an outsole that provides outstanding tread for superior grip, good downhill braking, a toe-climbing zone, and lugs wide enough they can be easily cleaned with a stick or finger. You will feel the slight rocker on this boot as you climb uphill which alone make the Vioz Plus a winner! Featuring a 3mm wider last than regular Zamberlans this feature helps to ensure that this boot is more comfortable for most individuals. It is also a superb technical boot for those that may have wide feet. It will actually fit hikers with up to a size EE comfortably. Hydrobloc waxed leathers comprise the uppers in a beautiful Waxed Forest color. The patented Flex-STM system allows the upper to break with the heal for comfort during strides, without compromising support to the ankles. The 3/4 rubber rand (RRS) will keep the upper leather in great condition through rocky terrain. Corrosion resistant hardware allows for easy lacing. The Gore-Tex lining provides the utmost protection and breathability while the MICROTEX wicking nylon collar lining helps control excess moisture. 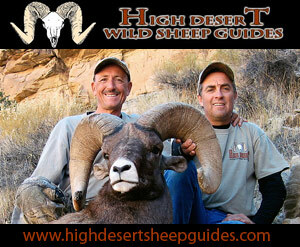 Growing up in the desert southwest I was introduced to desert bighorn sheep, and their beauty around the age of 5. I was also introduced to the rugged beauty of which the desert holds. The desire and drive to climb the next mountain has grown from boyhood years to the point that virtually no mountain will stand in the way of discovering the next green pasture beyond my sight. This has been a large part of my life over the last 20 years as a hunting guide. 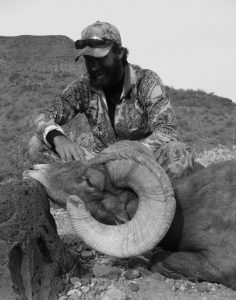 Whether hunting desert bighorn in Arizona or chasing late season bulls in the snow covered mountains of New Mexico’s Gila National forest, I found a home away from in the fresh air and freedom of the open horizons the great west offers. Twenty years has taught me many lessons… some about myself, the cruelty of nature, the beauty of sunrises and the importance of dependable gear such as the boots I wear. My success and life out in the mountains will continue to depend on high quality boots like the Zamberlan 1006 Vioz Plus GTX RR. I couldn’t believe that after pulling these boots out of the box that they fit my feet perfectly. 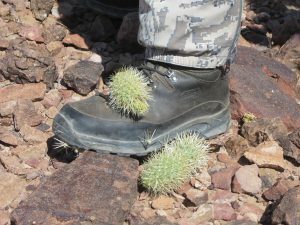 In fact, I went on a tough hike in some gnarly black volcanic desert mesas in the New Water Mountains the next day and was surprised that I didn’t wear a blister or develop and troublesome hot spots. Believe me, over the years I have went through a lot of boots but the Zamberlan Vioz Plus GTX RR is as comfortable and tough of a boot as I have ever worn. The soles deliver outstanding traction and the uppers provide the protection and support for my ankles that I demand. In my opinion the Zamberlan company has built their outstanding reputation due to uncompromising attention to detail and quality. The Zamberlan 1006 VIOZ PLUS GTX RR is set to move the Zamberlan name upward as one of the top boot makers in the business. There is no doubt in my mind that this particular boot will establish the standard for years to come. Superior leather, stitching, eyelets and a rigid midsole paired with a top quality Vibrant sole make this boot essential gear for extreme terrain such as the volcanic rock mountains of Arizona and Mexico all the way to the shale slides of Alaska’s sheep country. The VIOZ PLUS GTX RR provides great flexibility while maintaining unmatched support. This boot can be used for day hunts by any hunter, but I feel it is best suited for the serious hunter looking for reassurance while trekking in steep, rocky country. The waterproof Hydrobloc technology will keep your feet perfectly dry even when submerged to the top eyelet. These boots will ensure durability through years of extreme hunting and backpacking. 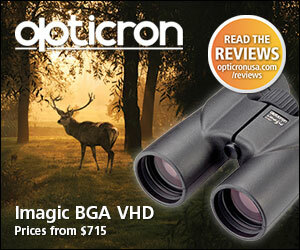 The 1006 VIOZ PLUS GTX RR can boast on its breathability as well. 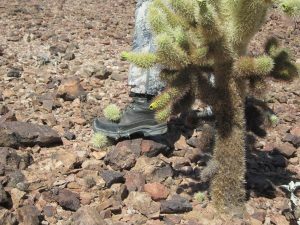 I put this boot to the test in 90 degree Arizona heat… my feet stayed perfectly dry. I have no hesitancy in recommending the purchase of Zamberlan’s 1006 VIOZ PLUS GTX RR to anyone who is serious about spending their time in the most difficult terrain they can find. Zamberlan has manufactured an incredible boot that has to rank at the top of the boot manufacturing market for durability and toughness. 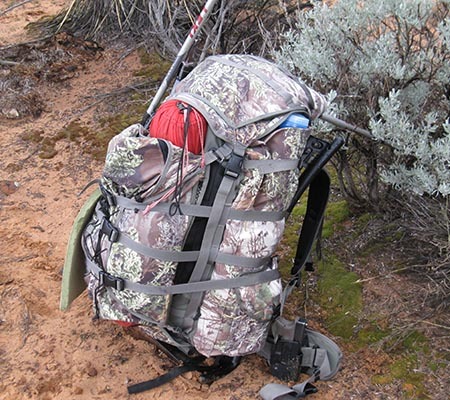 As with all Mountain Hunting or backpacking boots it is easy to start an argument over what boot is best but I can guarantee that the Vioz 1006 Plus GTX RR will provide you with great service. Currently priced at $340 this boot is well worth the money from my perspective.. It’s durability and quality will be worth every cent with the pounding that I will be giving them on countless scouting, hiking and hunting trips into the cactus and volcanic rock of the desert country I spend my time in. I know that I can depend on the Vioz 1006 Plus GTX RR’s getting be back home. This is a great boot. I wouldn’t ask Zamberlan to change anything.